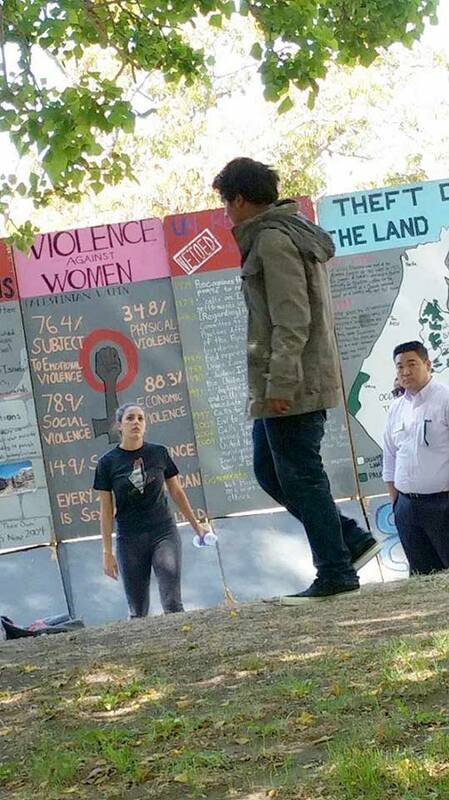 A man (pictured) attacked the “Palestinian Mock Apartheid Wall” and yelled racial slurs at CSUF’s Students for Justice in Palestine president yesterday. [via The Daily Titan]. Read this Daily Titan report. OC Weekly on Alex Odeh.. 30 years after his assassination!